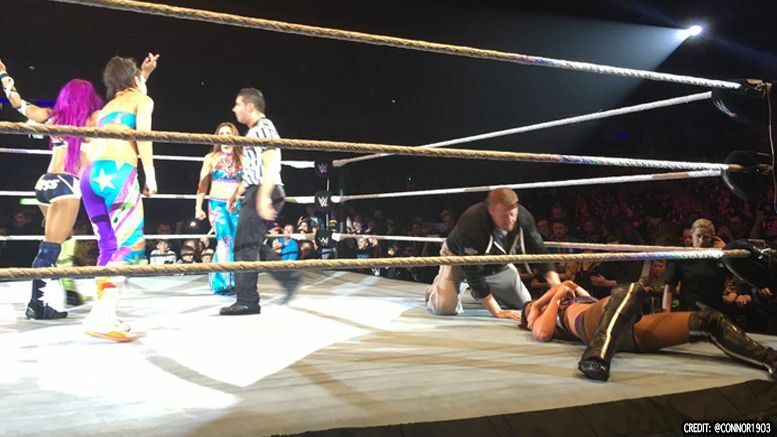 According to those in attendance, Emma looked to be in serious pain in her shoulder after a taking a bump in the corner from Sasha Banks during a 6-woman tag match. Things ended abruptly after that and she was helped to the back. Our sources tell us doctors checked out Emma’s injury once she got backstage, but she’ll need to wait on official word from their team before knowing how serious it might be. Emma tweeted Monday morning saying, “Just a little unlucky.” Adding, “Thanks for all the messages. Waiting to see what it is.” Video of the incident has also surfaced and can be seen below.